The price of Instagram ads can add up to a significant sum and may not always lead the the desired results. When this happens, many business start thinking about hiring Instagram influencers to advertise and promote their brand. In this article we explain to you why you should consider hiring an IG influencer, how to choose an Instagram influencer and how much to pay an influencer. 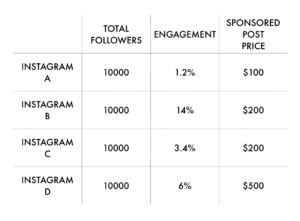 Read on and you will get a pretty good understanding of how much an Instagram advertising campaign costs in 2018. 1. 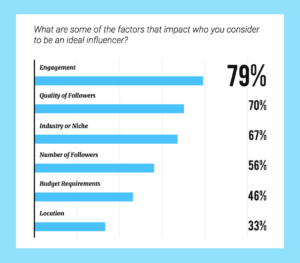 How much do social media influencers make? How much do social media influencers make? 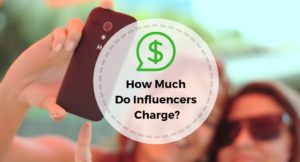 This really depends on the platform the influencer is using, but if we’re looking at Instagram, about 65% of influencers charge less than $250 per IG post, while 28% charge from $250 to $1000 per post. There are figures higher than that, of course, but they account only for a small percentage of all IG influencer deals made on the platform. A good price point to start out your calculations for how much a particular influencer might charge is to assume that the cost is 1 cent per every follower. This is only the starting point - the rate can go up or down depending on the engagement rate and other factors. Influencers with a smaller following (from 10k to 100k subscribers) might also except your products as payment, but you should not count on this too much - the days of exchanging only products for advertisement are long gone, so prepare to spend some cash. An influencer with 173 thousand followers and 4.4 percent engagement prices her sponsored posts at 1000 dollars a pop, while sponsored giveaways where you would have to provide the gifts cost 500 dollars per post. Another Instagram celebrity with 110 thousands followers and a 9.1 percent engagement rate (which is pretty high for this industry) prices her content at 200 dollars per story, 1200 dollars per post on Instagram and a blog post and a whopping 5000 dollars if you want a minute-long product review. If the prices above seem too steep, you may want to try and start out slow with a few sponsored posts from so-called micro-influencers, who have between 10k and 100k followers. A single Instagram post from a page with 81 thousand followers costs only 300 dollars and you can get two posts at 250 dollars a pop. Another page with 30 thousand followers and a 7.5 percent engagement rate offers a series of 5 posts for 1400 dollars. 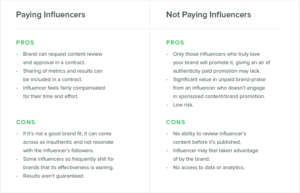 If you’re new to the influencer game, keep in mind that purchasing sponsored posts from IG accounts should be treated just as any other business transaction: make sure that you outline your wishes and expectations from the very beginning, discuss the nature of the posts and the partnership, for instance, specify who will provide the content for the post, what the influencer is/ is not allowed to say, what the overall language of the post is going to be, etc.